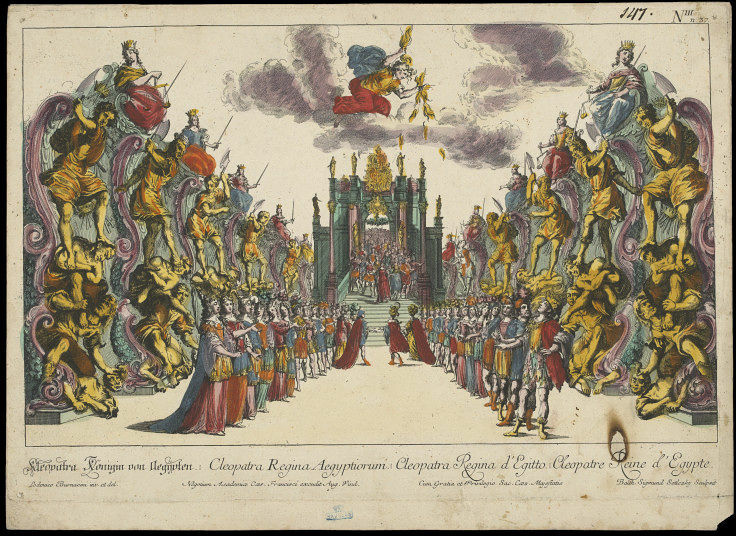 Print entitled 'Cleopatre Reine d'Egypte' depicting a royal court scene, probably from Il Pomo d'Oro. 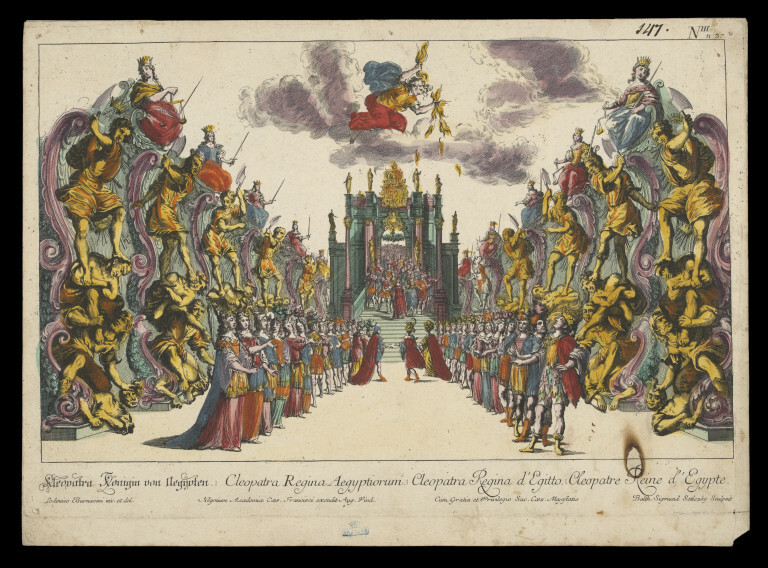 Print entitled 'Cleopatre Reine d'Egypte' depicting a royal court scene. 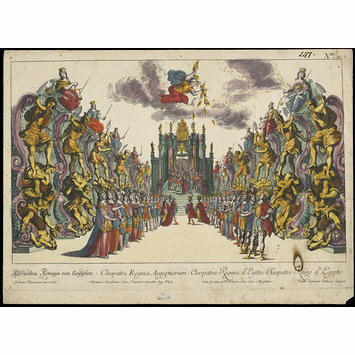 Print entitled 'Cleopatre Reine d'Egypte' depicting a royal court scene, probably from Il Pomo d'Oro, Harry Beard Collection.